2018 was a year of a lot of nature adventure for me with travel to Florida, Mexico, California, Canada, Kauai, and the Tetons! I loved getting out to shoot whether it was a devoted photography trip or just a quick shooting opportunity on a family trip. I have so many images I love from this past year and all of them bring back special memories. I went through and chose 18 favorites to represent my year. 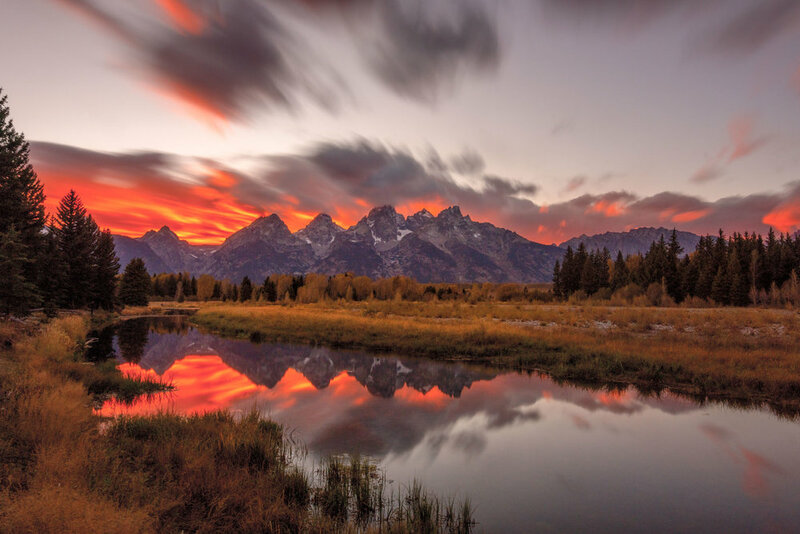 Captured in the Tetons the evening before the 2018 Magic in the Tetons retreat began. After the sun went below the mountains, the light shone across the Grand so beautifully. I grabbed my Sigma 150-600 to capture this scene up close at 150mm. My first trip to Yosemite was short and sweet. Tunnel view was the first stop I made with my mom and the kids. 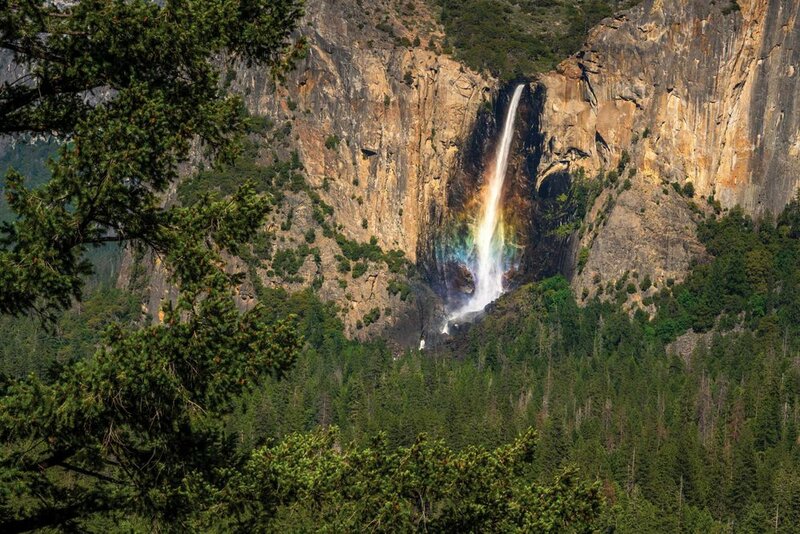 I captured this image of Bridalveil Falls with my Nikon 70-200 at 200mm and was thrilled to see the rainbow of colors in the water. 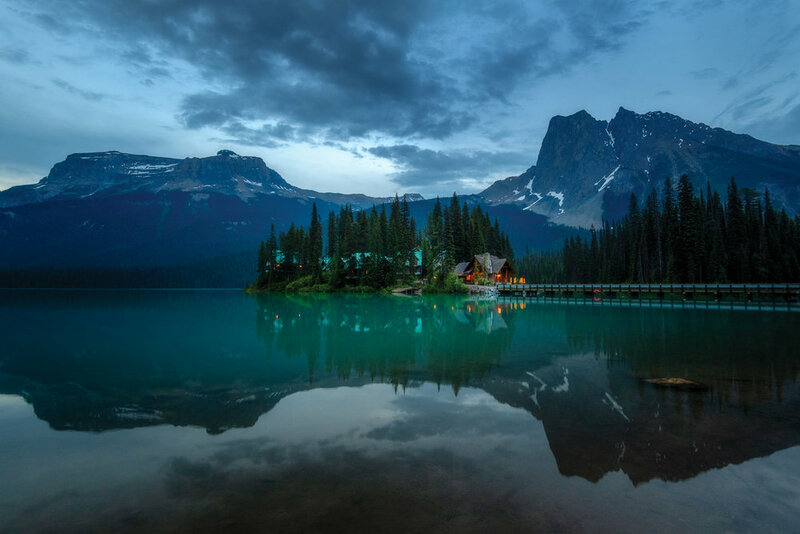 June brought me back to the Canadian Rockies with my girlfriends where I finally got to shoot Emerald Lake. This image was selected as a finalist in Click & Company’s 2018 Voice Collection. The night sky in Kauai was just amazing this summer. I went out and captured the stars several nights during our stay at the Grand Hyatt Kauai. June’s trip to the Rockies culminated in this stunning sunset at Lake Louise. I couldn’t help but succumb to my long exposure addiction here! I love a dramatic sky and September’s trip to Jackson Hole for the 2018 Magic in the Tetons retreat brought a couple days of stormy skies. This was captured during my final night during sunset. Our first Chicago snowfall occurred just a week after peak autumn color. I took the opportunity to head to the Arboretum and pulled over upon seeing this collision of seasons. This image was selected as part of the “Opposites” story assignment for National Geographic’s Your Shot. In early November, I took the opportunity to fly up to Canada for a quick weekend with my photographer friend Gina Yeo and we ventured to Emerald Lake for a wintry evening shoot. The low clouds over the lake were just magical. After the Magic in the Tetons retreat, I stayed one extra day and spent the afternoon at this location with a couple friends enjoying the view of the mountains and this beautiful moose. 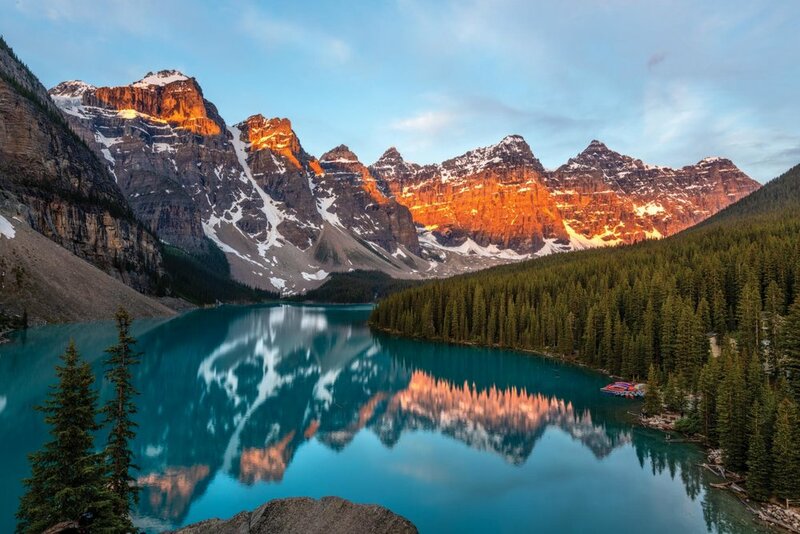 When I visited Moraine Lake in the summer of 2017, I was with my family and did not have the opportunity to capture a sunrise here. In June, my girls, Gina & Addie, & I made sure to make it there for this beautiful reflection of alpenglow. 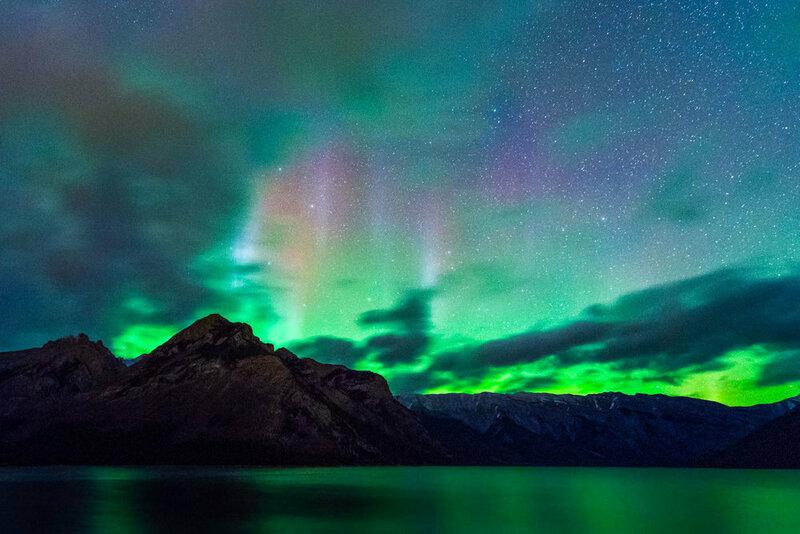 Totally unexpected, my November weekend with Gina culminated in a showing of the Aurora over Banff! This was an absolute bucket list moment for me! A stunning sunset welcomed me to the Tetons in September! Again, my obsession with long exposures tugs at me when there are beautiful clouds. 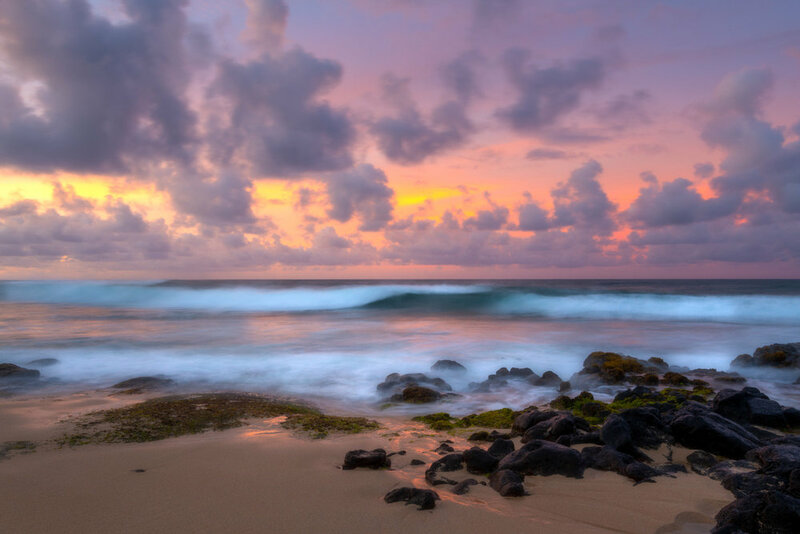 Such a stunning beach in Kauai lured me out of bed several mornings for sunrise. I love the softness of the long exposure but the way the waves still have shape. One night of the Magic in the Tetons retreat, the Milky Way would be visible without moon interference. I led my group to this beautiful spot for sunset so everyone would be set up to capture the magic of the Teton nights. The colors of a sunset and gorgeous water in Mexico provided a great opportunity for this panning seascape. This night in the Tetons was magical. The gorgeous glow of sunset just seemed to last forever! My ladies and I had the best night. During the Magic in the Tetons we spent a couple hours shooting the autumn colors of the gorgeous trees. This shot is the result of vertical panning for 1 second. The first night in Canada in November, we ran over to Vermilion Lakes for a little star shooting. This capture is an 8 minute exposure of the stars over Mt. Rundle. If you made it this far, thanks for staying with me through some of my favorite landscape photographic moments of 2018. I’m looking forward to many more adventures in 2019 including 2 Magic in the Teton retreats, Click Away, the Insta Inspire Retreat, and some new ideas I’m working on!